"One-Pot Pasta" by Sarah Walker Caron. 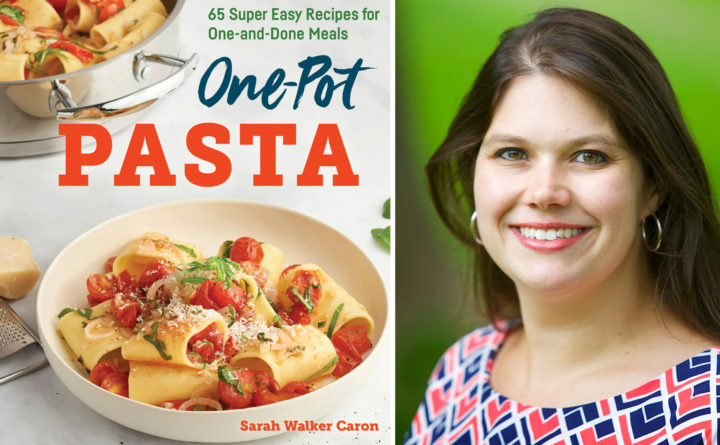 Bangor-based cookbook author Sarah Walker Caron, best known to Bangor Daily News readers as editor of the BDN features desk, Bangor Metro magazine and Hello Homestead, has been a very busy bee in recent months. In less than a year, she has published two full cookbooks. The first, “The Super Easy 5-Ingredient Cookbook,” came out in August 2018. Her newest, “One-Pot Pasta,” is out this month, published by Rockridge Press. A third cookbook, “Grains as Mains: Modern Recipes Using Ancient Grains,” came out in 2015. In “One-Pot Pasta,” Caron offers 50 individual recipes featuring that most versatile of ingredients: pasta. From a classic spaghetti with meat sauce, to deconstructed crab cake macaroni, to a boldly flavored bleu cheese, brussels sprout and red onion farfalle, there’s a recipe for every sort of eater. The fact that every recipe can be made with just one pot means preparation and clean-up are efficient, easy and fast. As with her previous cookbook, Caron provides helpful primers on basic cooking techniques specifically for pasta, including two different approaches to cooking with one pot and a list of all the herbs, spices and kitchen essentials needed to make just about every recipe in the book. There are even measurement conversions in the back of the book, as well as 15 salad, appetizer and side dish recipes to go with all those pasta entrees. And, as with previous cookbooks, Caron features two in-home taste testers for every recipe in the book: her kids, 11-year-old Paige (whom Caron calls her “sous chef”) and 14-year-old Will. “One-Pot Pasta” is available wherever books are sold, as well as locally at Briar Patch Books in Bangor, where signed copies are available. Caron will do a book signing event and author talk at 1 p.m. on Saturday, Feb. 16, at the Ellsworth Public Library, where samples from recipes from both of her recent cookbooks will be available.